Metro North Hospital and Health Service has a strong culture of research and evidence based health improvement. 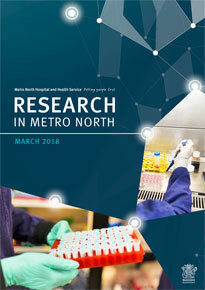 Metro North staff are recognised for research in such fields as lung cancer and respiratory illness, organ, tissue and bone marrow transplantation, cardiology and cardiac surgery, burns, trauma and intensive care, allied health, nursing, neurology, maternal medicine, neonatology, mental health, orthopaedics, and more. Metro North hosts five NHMRC-funded Centres for Research Excellence and is a partner in two. Our research partners include QIMR Berghofer, University of Queensland, Queensland University of Technology, Griffith University, ACU, and the Brisbane Diamantina Health Partnership. Our researchers publish an average of 1300 journal articles each year across a range of publications and fields of research. 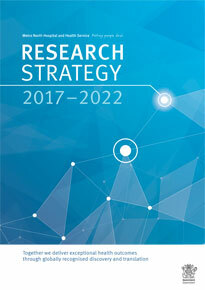 The Metro North Research Strategy 2017-2022 aims to encourage collaboration and excellence across the themes of diagnostics, therapeutics and health services. These themes give us the opportunity to highlight our existing areas of excellence, to strive for better patient outcomes in others, to promote occasions for collaboration, and to drive our push for sustainable research funding and knowledge translation to directly improve our patient outcomes. What areas are we working in? How many clinical research projects?